Construction is now underway in Dr. Phillips with its Spring Lake Health and Living Campus on 26 acres in the heart of the Dr. Phillips neighborhood. 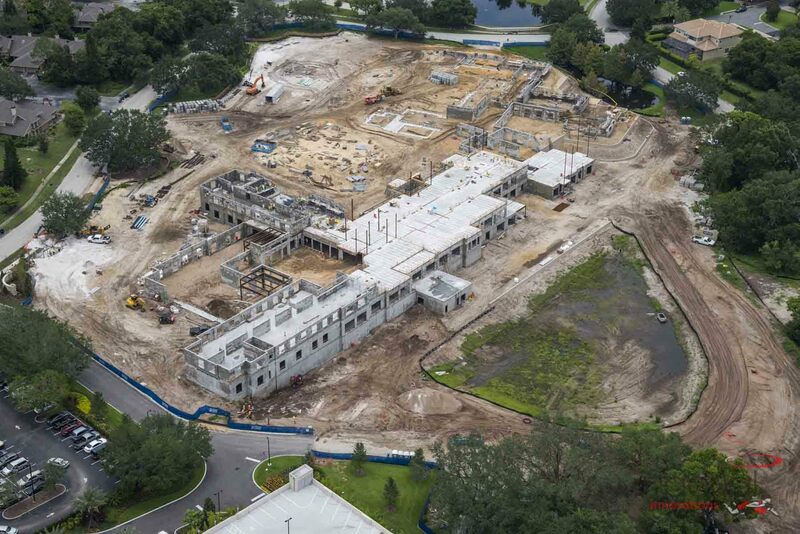 The $75 million Spring Lake Health and Living Campus takes a holistic approach to health care and senior living that is rare not only in Florida but across the nation. Dr. Phillips, Inc. is partnering with industry leaders Orlando Health and Harbor Retirement Associates (HRA) on this project, which combines a 60,000-square-foot medical office building on the same campus which features a 186 rental-apartment building that will accommodate independent and assisted living villas in addition to memory care. Rarely will you find a community that has invested so much in creating a healthy living campus like you will find here in Dr. Phillips. This one-of-a-kind healthy community fosters a place that people from all over the world will come to visit, tour, and experience,” says Kenneth Robinson, president of Dr. Phillips Charities. “We are creating a campus for an aging population that makes it easy for families to stay together and in close proximity to medical services, shopping, retail, grocery stores, the YMCA, residential areas, schools, churches and libraries. This mixed use allows for intergenerational relationships and a strong sense of community. 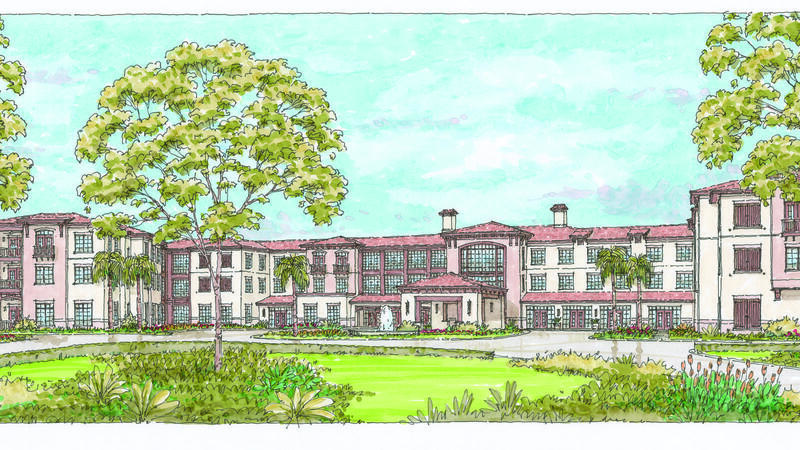 This project is special not only for its architectural and technological features, but because it represents a modern and innovative interpretation of the senior living experience,” says Charlie Jennings, Chief Development Officer of HRA, a regional senior living development and management company based in Vero Beach. The state-of-the-art senior community at Spring Lake will feature the tantalizing Chef’s Fare dining program, which provides a wealth of choices tailored to each individual’s preferences. It also will offer HRA’s signature Life Enrichment Program, designed to provide social, devotional, fitness and recreational opportunities that have a positive influence on residents. Our goal is to provide residents of the close-knit communities of Dr. Phillips, Bay Hill and Windermere the opportunity to age in place near their families, their churches and their friends,” says Mr. Robinson. “And, we want to give their families, their sons and daughters, the comfort of knowing healthcare is just a few steps away. This integrated approach carries over to the design of the Orlando Health Medical Pavilion at Spring Lake, which will have offices for both primary care physicians and specialists from Physician Associates and Orlando Health Physicians Group, two of the area’s most comprehensive practices. Experts in internal medicine, orthopedics, geriatrics, oncology and cardiology will be located in the three-story medical pavilion at 7243 Della Drive. On-site imaging and diagnostic centers, a pharmacy and a café reinforce the integrated experience patients can expect when the area’s first community health pavilion opens. This is a new way of putting these services together for today’s healthcare consumers,” says Dr. Cynthia Powell, Orlando Health’s Senior Vice President, Physician Enterprise. “Whether they live in the senior housing community or the surrounding neighborhoods of Dr. Phillips, patients will be able to make one stop here for their preventive and diagnostic care. Consumers and employers continue to tell us they want convenient access, locations close to home or work, and comprehensive services in one place,” says Greg Ohe, Orlando Health’s Senior Vice President of Ambulatory Development. “Our medical pavilion at Spring Lake will deliver all this for an exceptional patient experience. HRA expects the first housing units to be available in 2018. 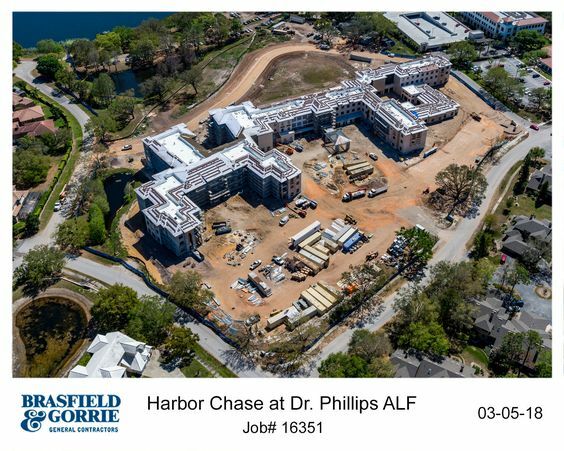 With the tremendous partnership of Orlando Health and HRA, Dr. Phillips Charities believes the Spring Lake campus can provide a strong glimpse into the future of community-based healthcare and the next level of comprehensive senior housing,” says Mr. Robinson. Once the largest citrus producer in the world, Dr. Philip Phillips left a legacy that has spanned several generations, culminating in the establishment of Dr. Phillips Charities, comprised of The Dr. P. Phillips Foundation and Dr. Phillips Inc. These two distinct funding organizations are well known in Central Florida for their grant support to worthy capital projects and innovative programs of charities that address critical community needs, demonstrate the potential for ongoing community support, and have a significant, lasting benefit to the community. More information can be found at www.drphillips.org. Harbor Retirement Associates (“HRA”) is a regional senior living development and management company, focused primarily on Assisted Living and Memory Care communities, but also engaged in the development and operations of Independent Living and Skilled Nursing communities. HRA operates 20 communities under the Regency Park and HarborChase names and is partnering on the development and acquisition of 9 more communities in 8 states. HRA manages approximately $100 million in revenue and over $300 million in assets while employing over 1,500 associates. For more info visit www.HRAseniorliving.com.